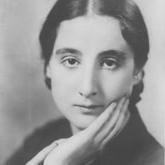 The distinguished British musician and educator Irene Kohler passed away in March 1996. Her husband, Dr Harry Waters, placed in the Callaway Centre his late wife's extensive collection of music and books. The valuable, and in many aspects unique, Irene Kohler Collection is a memorial to an unusually gifted pianist and teacher. It includes Kohler’s original scrapbooks, letters and cards, which trace her international career.